With the rise of mobility at such a rapid pace, smartphones and tablets have cemented their presence into our daily lives. 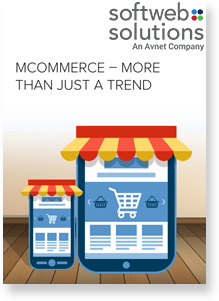 The success of eCommerce has paved the way for mCommerce, aiming to take this phenomenon further. It has breathed a new life, and opened up exciting possibilities, in the way people deliver and avail products and services. Find out the benefits of a mobile presence that can yield significant revenue as an added channel of commerce for your business. "By the end of 2017, Forrester research predicts that U.S. mobile users wiill spend $90B via mobile payments, A 48% increase over the $12.8B spent in 2012."